Kingdom Builder Designs, believe in “Displaying the Spirit of Excellence” in everything that we produce. We are here to provide you with your Next Level Creations; to bring your anticipated expectancy and vision to the next level. 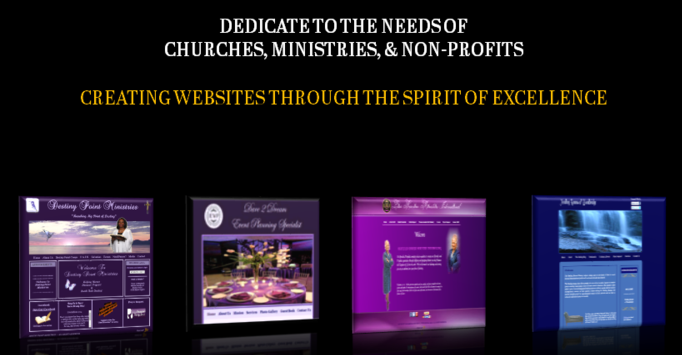 At Kingdom Builder Designs, we welcome the opportunity to prove ourselves worthy of your trust, and hope to be learning the complete details of your ministry or business needs soon! If we get a contract you'll get 50% off your next project.